Hey, guys! Welcome to https://esportsbetstar.com/dota-2/! Our resource is for those people who are looking for the website where to make a bet on dota2! Here you can make a bet on your favourite esports games via any bookmaker! Hi, student! Welcome to online writing service! You can buy college essays on our website! If you are looking for essay writing services - visit our service! 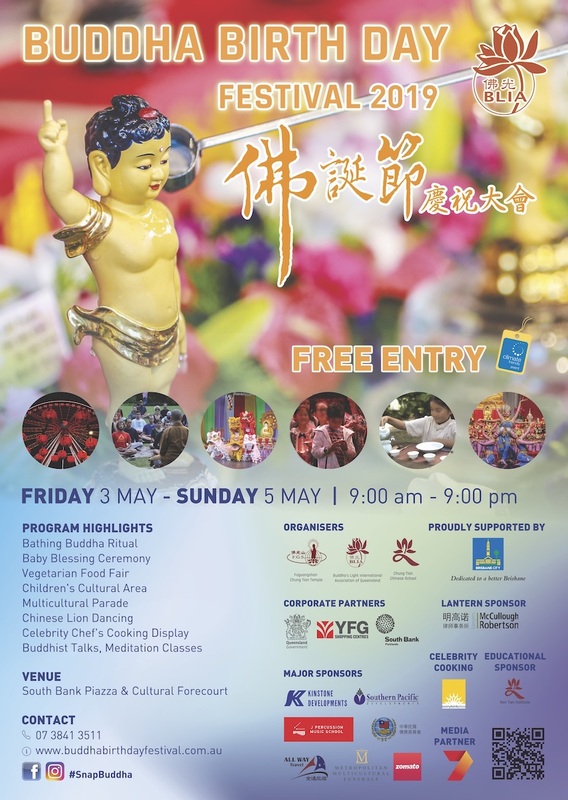 What's on at Buddha Birth Day Festival 2019? 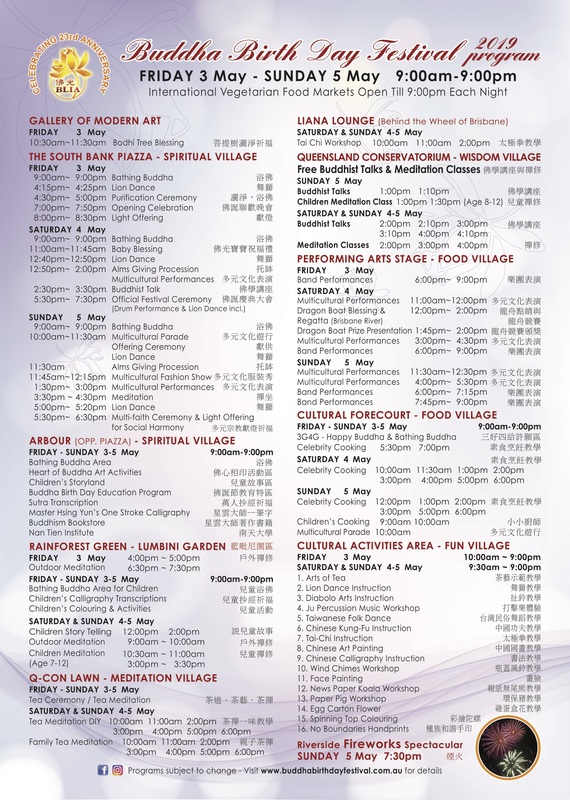 Check out all the exciting shows and events at this year’s Buddha Birth Day Festival in South Bank! Brand new Buddha Birth Day Festival Poster is ready. Download at Media Release. 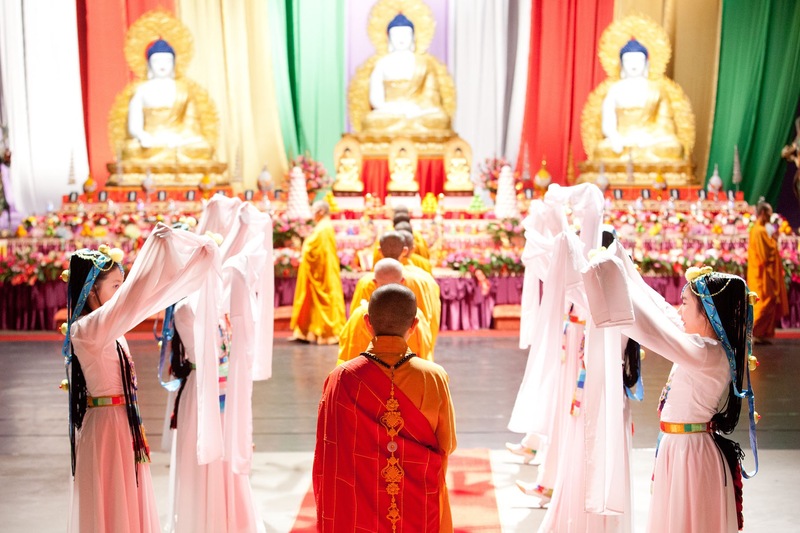 Since 1997 the Buddha Birth Day Festival has grown into one of Queensland’s most prestigious cultural events attracting in excess of 200,000 visitors and is now recognized as the largest annual Buddhist Birth Day Festival in the world. 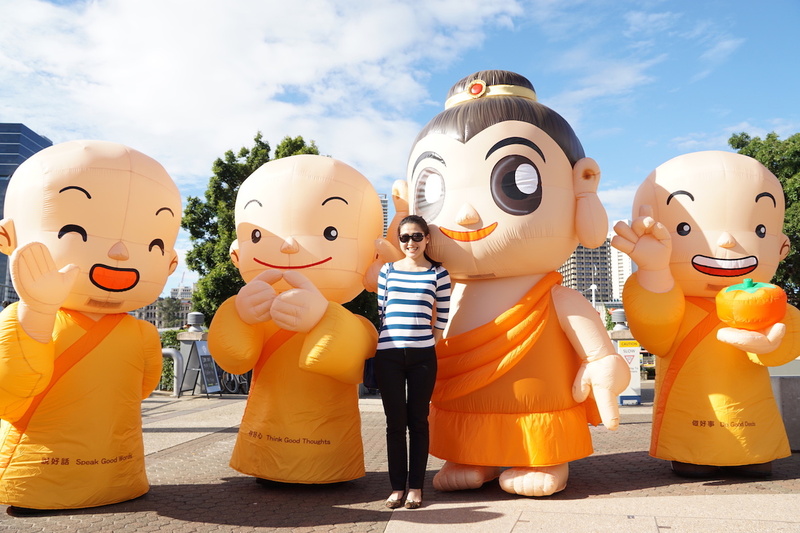 This year the Buddha Birth Day Festival is proud to be celebrating its 23rd anniversary at The Parklands at Southbank. 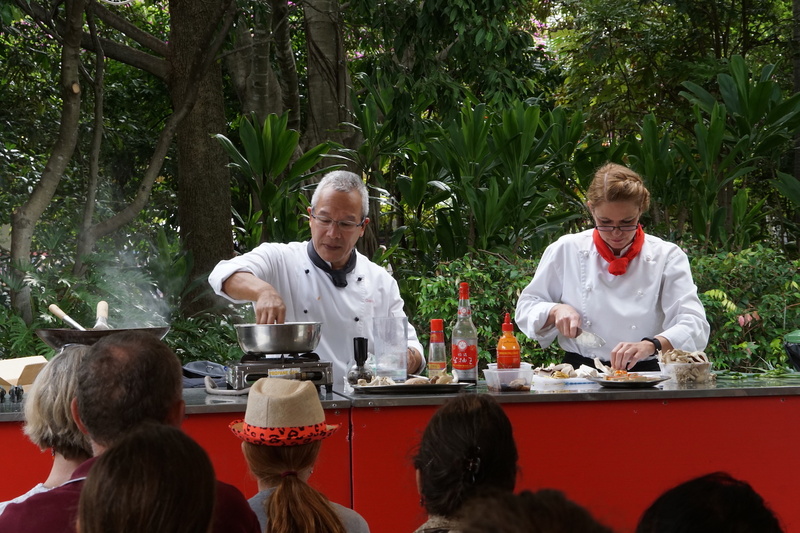 We continue to showcase the diversity of Australia’s multicultural society, as visitors can enjoy a relaxed environment surrounded by a range of displays, entertained by a variety of performances and experience many cultural customs and activities and vegetarian food. 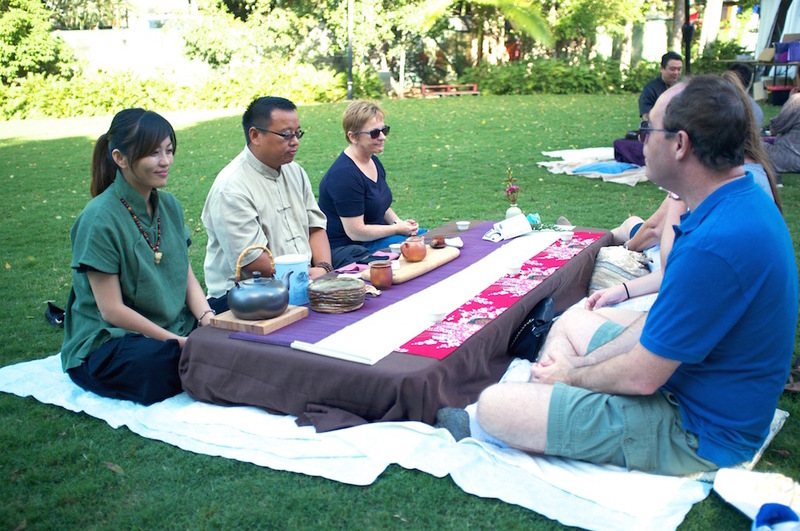 It is a Festival for everyone, regardless of ages, religious or cultural backgrounds. 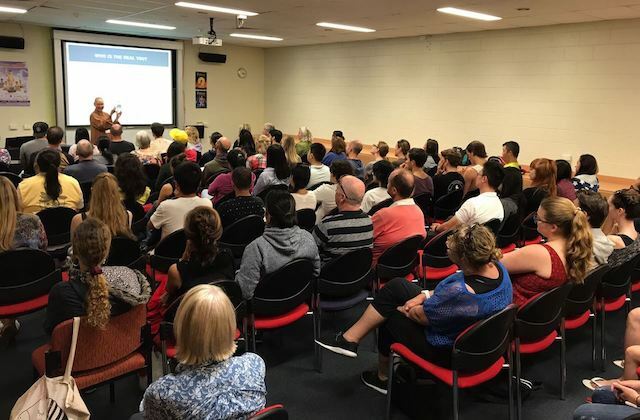 This year’s Buddha Birth Day Festival is set to see over 180 events spread throughout 13 locations around the Southbank Parklands with the creation of six villages. Stroll down the Path of Wisdom from the Southbank Piazza to the Cultural Forecourt and marvel at the Peace and Happiness lanterns that hang from the Arbour as you meander through the Buddha Birth Day Festival villages.